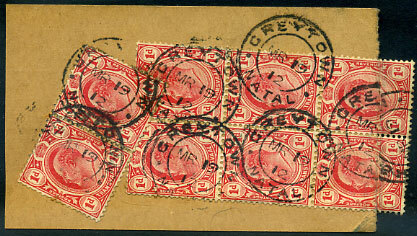 interprovincial use dated 15 MAY 11 on horiz. 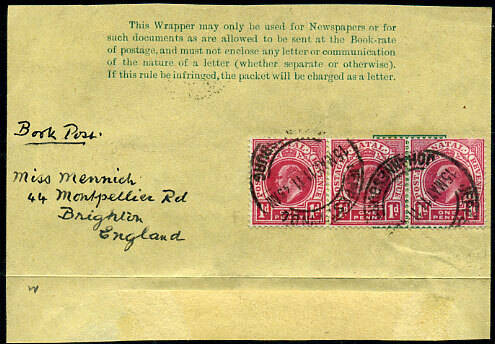 strip of three NATAL KE7 1d affixed over ORANGE RIVER COLONY KE7 ½d green design part newswrapper marked "Book Post" to Brighton, England. 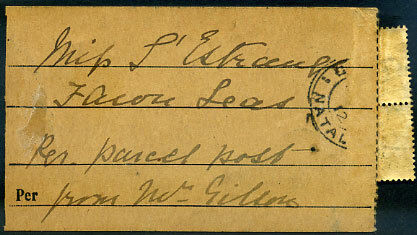 rare interprovincial use of a parcel tag locally addressed to Fawn Leas with on reverse pair and block of six Transvaal KE7 1d (SG.274), the lower pair creased as folded out. 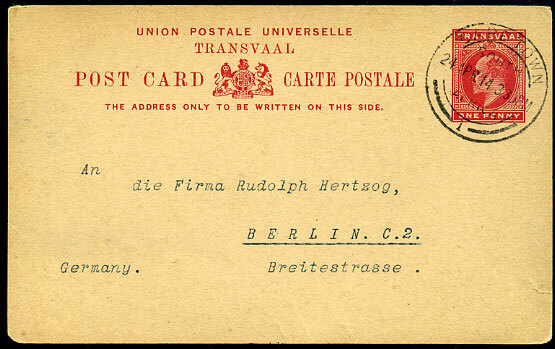 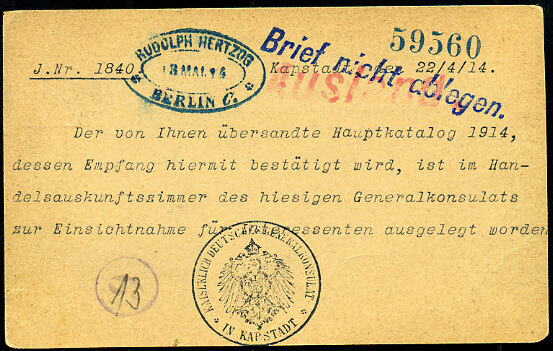 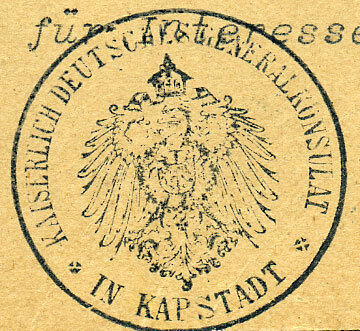 German Consulate IN KAPSTADT sender's cachet on reverse Transvaal KE7 1d UPU Post Card pmk'd 24 APR 14.